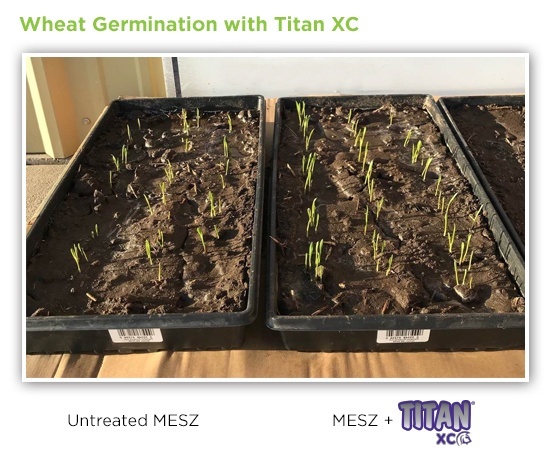 You can also see a similar demo in this 10-day timelapse video, which shows a significant improvement in both wheat and corn germination with Titan XC. Unique to Loveland Products, Titan XC is powered by concentrated, naturally derived biochemistry that is created by Agricen through a proprietary fermentation process. With Titan XC technology on their dry fertilizers, growers can better ensure that their crop will make the best use of their P and K fertilizer investment. Learn more about Titan XC by downloading the Titan XC product booklet.